A fall invitation design with apples, wheat and other harvest illustrations for a country or farm wedding. 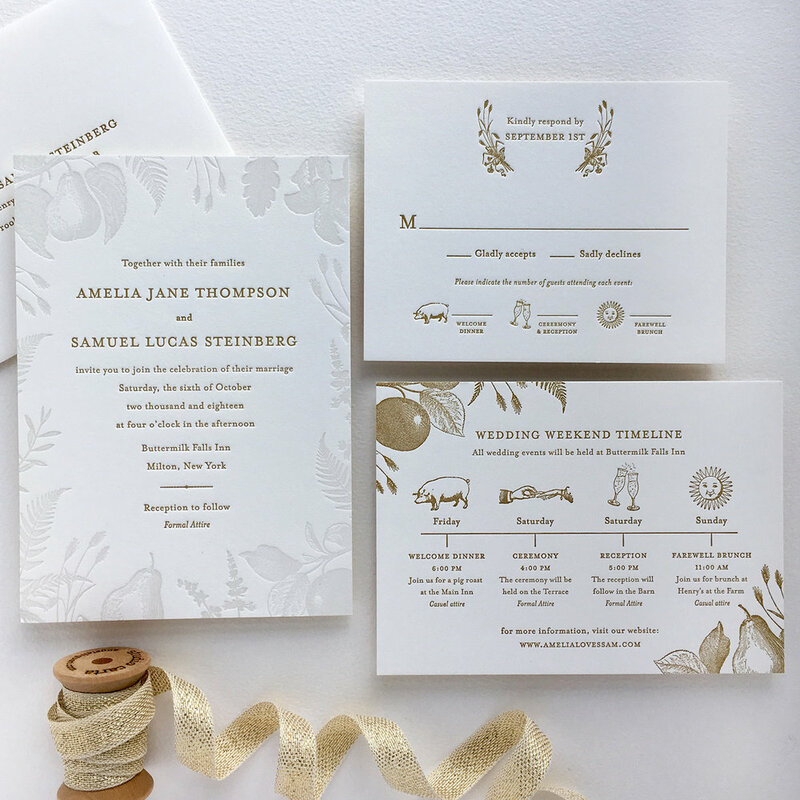 This letterpress wedding invitation was inspired by a fall harvest. 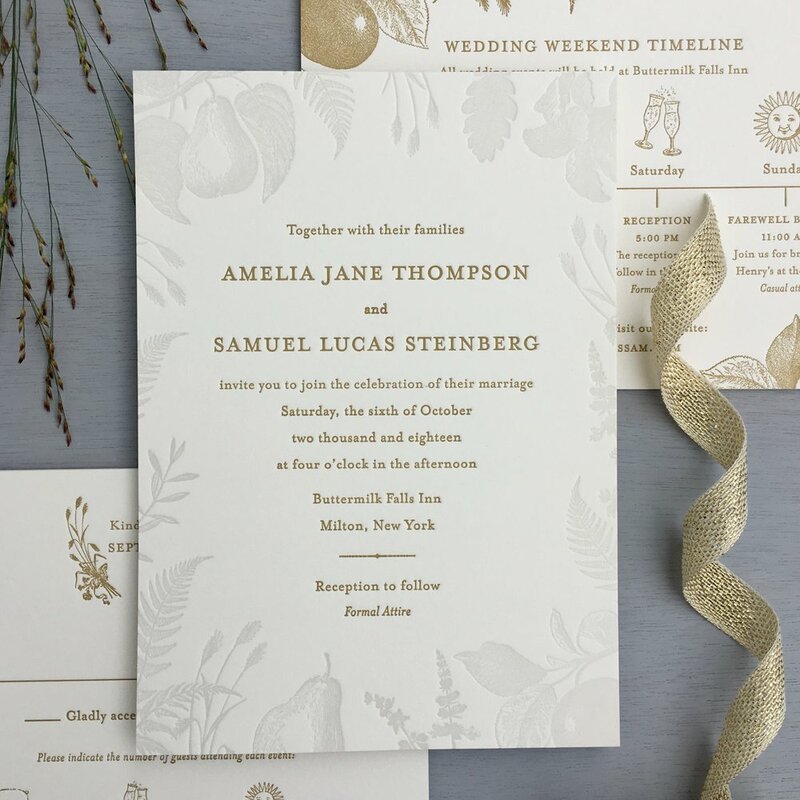 The background of the invitation is bordered by wheat, apples, pears and more in a tinted embossed ink. The subtle background, paired with a matte gold gives a warm feeling to this fall appropriate design. This set would look beautiful in a number of other warm color combinations, though. A wedding timeline is a nice way to give your guests a more detailed guide to the weekend.